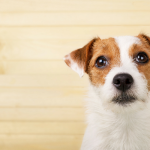 You are here: Home / Why Do Dogs / Why Do Dogs Guard Their Food? 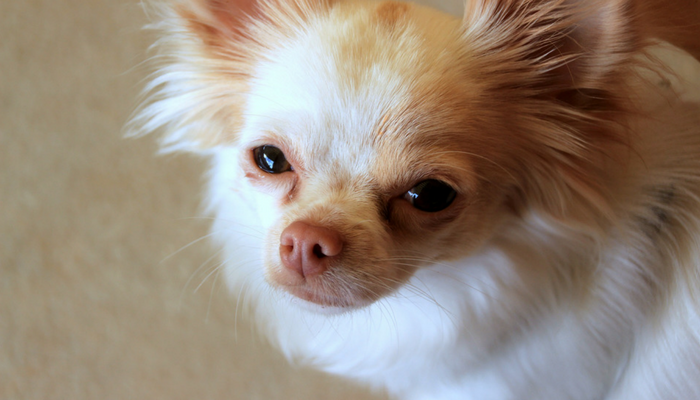 Does your dog get defensive when you approach his food? Does he stiffen up, growl or perhaps even snap at you? That behavior is called resource guarding, and when it comes to resources food is the most common trigger. It’s a problem that many dog owners face — myself included. 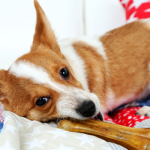 Here’s why dogs guard their food, and some resources to help you manage the behavior. 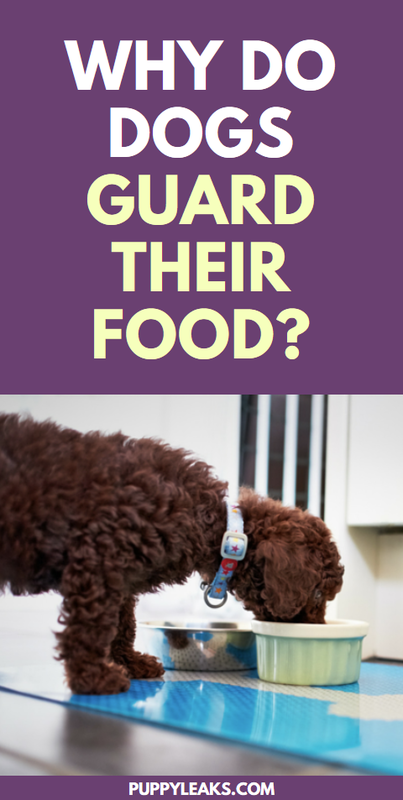 Guarding food is a fear based behavior that some dogs exhibit. While it’s not a behavior that’s desirable in the home it is important to remember that it is a normal, instinctual behavior for dogs to exhibit. Resource guarding helps animals out in the wild – those that successfully guard their food are the ones more likely to survive. Resource guarding in dogs ranges from mild to severe. 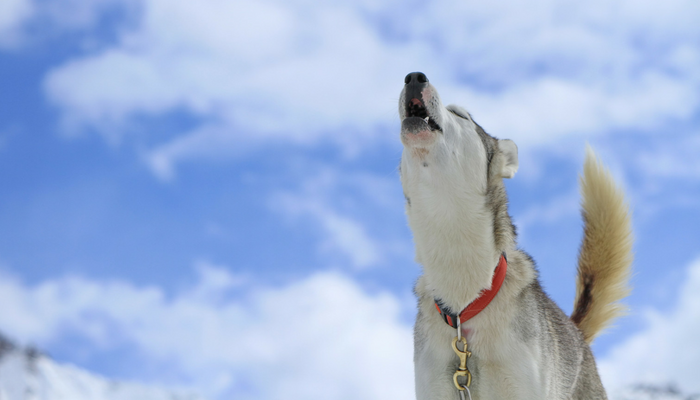 In mild cases a dog might get slightly stiff as you approach his food bowl, and in more severe cases they might growl and/or bite when approached. If your dog is guarding his food it’s important to remember that it does not mean your dog is overly aggressive, nor does it that your dog is trying to be more dominant than you. It’s a fear based behavior that dogs use to keep others from taking away their food or possessions. The good news is that resource guarding can be managed, but the bad news is that no one knows exactly why some dogs guard their food and others don’t. What we do know is that dogs that guard their food feel insecure, and they’re guarding it to keep others from taking it away. Does that mean that you somehow taught your dog to be nervous around food? Not necessarily. Food guarding (also called resource guarding) is thought to be caused by both genetics & environment, what we refer to as nature & nurture. 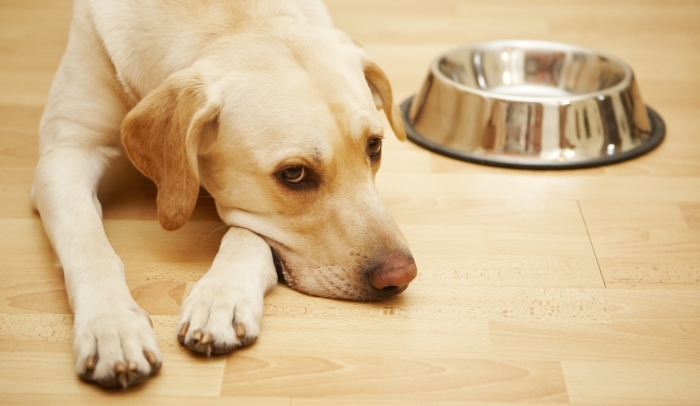 Here’s a look at some of the common theories as to why dogs guard their food. Some experts believe that food guarding begins very young, when puppies have to compete for limited supplies of food such as their mothers milk or food from a bowl. The puppies that eat the most grow the quickest, and the theory is that those pups are being rewarded for eating as much food as they can therefore establishing a history of being rewarded for monopolizing the food for themselves. Resource guarding may arise as a result from insecurity from competing for food or being deprived of resources, but it’s important to note that some dogs who exhibit guarding have no history of neglect, abuse or deprivation. When dealing with a dog that guards their food keep in mind that your dog is not trying to be overly aggressive or dominate you. Guarding is a fear based behavior that dogs use to prevent something valuable from being taken away. For more information on how to help manage your dogs guarding check out 5 ways you can hep reduce resource guarding. Dogs in shelters exhibit a higher than usual rate of food guarding (as much as 25%). But keep in mind that the shelter environment is an extremely stressful one, and the assessment that dogs get to rate their aggression with food (sticking a rubber hand in their food bowl) might not correlate to how a dog would react in a normal environment. Dogs in shelters might not know when and if their next meal is coming, so their anxiety about it increases. Many shelters have developed feeding programs that help decrease the amount of food guarding seen in the shelter by free-feeding their dogs, giving them access to a full food bowl at all times and/or making sure they have access to food on a consistent basis. So while it’s true that many dogs guard their food while living in a shelter environment, studies have shown that the behavior is no longer observed after dogs are placed into homes. In most instances dogs placed into homes no longer show food guarding after as little as 3 weeks, and many shelters report success rates of over 90%. Because there are much higher instances of reported guarding in shelters it’s easy to see how much of an impact environment can play in a dogs behavior. Your dogs genes can affect their behaviors, but unfortunately when it comes to guarding there’s a serious lack of research. We know that a Border Collie’s genes are responsible for his natural herding instinct, and that livestock guardians have an inclination to guard their flock against predators. But when it comes to food guarding we don’t have definitive studies that can point to certain breeds being more prone to the behavior. 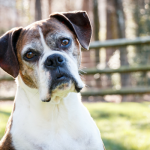 Researchers have tried to determine what genes may be responsible for increased aggression in dogs, but so far there’s no breed-specific results worth noting. When it comes to resource guarding in particular there haven’t been any definitive studies on the role of genetics. Unfortunately we don’t know the exact reason why some dogs guard their food and others don’t, though there are some pretty intriguing theories. What we do know is that dogs who guard their food aren’t bad, defective or aggressive – they’re acting naturally, though admittedly it’s an issue that can and should be addressed. If your dog guards his food don’t be afraid to seek out a professional trainer for help. There’s also plenty of great resources to help you understand the behavior and come up with a plan to help modify their behavior. None of my three have ever had resource guarding issues (all raised from puppies, with lots of hand feeing that happens at least 2x a week), but every dog I’ve fostered has had it to some extent. It’s so sad to watch them. My dogs don’t resource guard their food. The only teeny issue we have is that Rodrigo will run over and eat Scout’s food if we don’t keep an eye on him. He’s learning that this isn’t acceptable, but sometimes he falls off the wagon. Now, when it comes to toys, we do see some stealing. So all toys are under supervision. And Zoey resource guards me when we’re out and strange dogs are around. Thanks for the informative post. I didn’t realize that there were so many causes for resource guarding. I thought it was background. My boys both resource guard, but not my girl. From each other, and from me. I haven’t been able to “fix” it, so I manage it. Such a great point, and one of the reasons I’m very careful about how I word the way we work with the issue. It pops up from time to time on new items and/or especially if I slack off on training for awhile, so it’s definitely something I keep working on. Delilah only guards at certain times. On Holidays or days when we have crowds and lots of food about. Those times she will snap at other dogs and also growl at the kids. It can be very challenging during those times. My dogs did this, specially at them begging when i first bought my husky home. My brother bought him a bag of food, and he just sat there guarding the bag, and would growl at my other dog when she would get near. They get along better now, but still fight for their food from time to time.